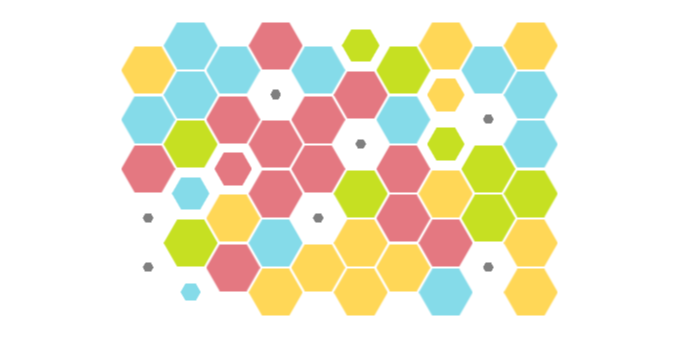 The game is made on a hex grid, but we used circular tiles to give it a different look. Matches can happen along any paths or number of cells as long as they are touching. The trick is to keep your eye on the whole board as when cells die they cant be matched.